There is no point creating a new construction that won’t tap into the current trends of the real estate market. If you want to build houses that send buyers scrambling to the open house and joining a bidding war, you need to include these fantastic features into your original plans. When the Canadian Home Builders Association looked into what new home buyers want from the real estate market, it found that they cared deeply about windows — most customers wanted the essential features to be sizable and energy-efficient. 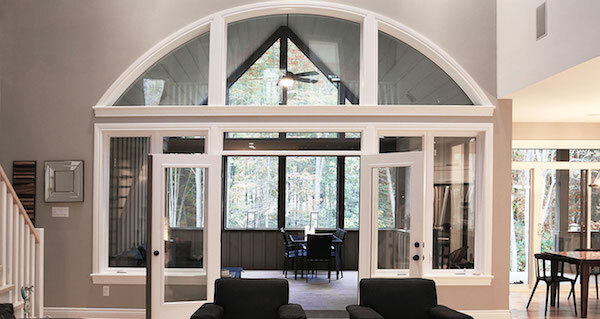 They determined that more than half of the respondents categorized large windows as must-haves. High-efficiency options were considered one of the leading items that people are dreaming about because of their abilities to brighten rooms, keep indoor temperatures comfortable and knock down hydro bill costs. To integrate two of these coveted qualities into your building plans, you should buy directly from a window manufacturer that has a strong dedication to sustainability and energy conservation — they will have exceptional products that will match the highest standards of energy efficiency. They should be made with low-emissivity glass and resilient frames for strong thermal protection. You can source these materials from a company like Golden Windows, which is one of the best window manufacturers in London, Ontario. They have been making and distributing windows in London to hard-working builders and renovators for years. Home renovation programs on television have encouraged the popularity for open-concept, where the floor plan isn’t blocked by doorways or walls. It takes away the formality of a traditional house by combining all of the separate rooms into one grand space, usually on the ground level of the house. This trendy feature is considered one of the top things millennial buyers are looking for when they are hunting for a new house because the vast floor-space is casual and convenient for when they need to entertain large groups of people. If you are planning a new construction, consider melding the living room, the dining room, the kitchen and the hallway into a giant square. After surveying consumers to see what features buyers are looking for in the midst of their search for new homes, research reveals that one of the top must-have real estate amenities is an enormous walk-in closet. The results showed a desire for rooms that capitalize on organization, instead of specific themes like home theatres or man caves. This enhancement gives the home a little taste of luxury and opulence, without seeming frivolous — it still offers excellent storage space for clothing, linens, footwear and furniture pieces. Think about expanding the closet by a metre or two to garner a little more interest towards your development. You want your construction to be a buyer’s dream home so that they want to move in all of their furniture when they glance at the listing. When you include the features that are at the top of everyone’s wish-list, you guarantee that your build instantly attracts a crowd.